“I am especially excited about the Sojourn program, through the Solomon Islands and Papua New Guinea,” Seabourn’s Timothy Littley tells us. Littley is the luxury line’s Senior Director of Deployment and Itinerary Planning. Seabourn is heading to Australasia again this year with Seabourn Encore and Seabourn Sojourn offering multiple cruises around Australia, New Zealand, and the South Pacific over the 2018-2019 season. Guests will have many opportunities to enjoy and explore the region, including via optional for-charge Ventures by Seabourn kayak and Zodiac tours in select destinations in the company of expedition teams. Special programming such as Shopping with the Chef excursions allow guests to discover local food markets; and special deck events, dance parties, and Movies Under the Stars will keep guests entertained onboard. In addition, the itineraries will offer excursions exploring UNESCO World Heritage Sites. The 2018-2019 season of Seabourn Encore in the South Pacific will launch with an 18-day cruise from Bali to Sydney (departing December 3, 2018) and will include four 16-day voyages between Sydney and Auckland (departing December 21, 2018, and January 22, February 7, and March 11, 2019, respectively). The start of spring will see the ship head out of Sydney on a 16-day voyage to Bali (departing March 27), featuring the Queensland Coast and the Great Barrier Reef, plus various islands of Indonesia. 16-Day New Zealand’s Splendors (January 6-22, 2019 and February 23-March 11, 2019) – Seabourn Encore will set sail on two voyages along the coasts of New Zealand round trip from Auckland. Ports of call include Russell on the Bay of Islands; Milford Sound and Fiordlands National Park, a UNESCO World Heritage Site preserved as the heritage home of the Maori culture; and tiny Oban (Halfmoon Bay), the southernmost of New Zealand’s islands. The itinerary will also take in Kaikoura, Nelson, Wellington, Napier, Gisborne, and Tauranga (Rotorua), as well as Kingston, Norfolk Island, Australia. 22-Day Landfalls of Captain Cook (November 19-December 11, 2018) – Cruise from Auckland to Sydney aboard Seabourn Sojourn while exploring New Caledonia, Vanuatu, Solomon Islands, Papau New Guinea, and Queensland, Australia including the Great Barrier Reef. 36-Day Holiday Australia Exploration (December 11, 2018-January 16, 2019) – Celebrate the holidays aboard Seabourn Sojourn while sailing to destinations throughout South Australia, West Australia, and the Northern Territory, as well as to East Timor, Komodo Island, Bali, and Java in Indonesia before two days at sea headed to Singapore. A highlight of this voyage is a stop in the Kimberley. This voyage is also available in two segments with a 16-day itinerary departing from Sydney on December 11and a 20-day itinerary departing from Perth on December 27. Guests of Seabourn Encore will also have an opportunity to enjoy optional 3-day mid-cruise overland tours from Milford Sound to Queenstown, New Zealand. Available on Seabourn Encore voyages departing January 6, February 7 and February 23, 2019, the tours will include journeys into the UNESCO World Heritage Site Fiordland National Park; the former gold mining destination Arrowtown; a jet boat excursion on the Shotover River; and much more. 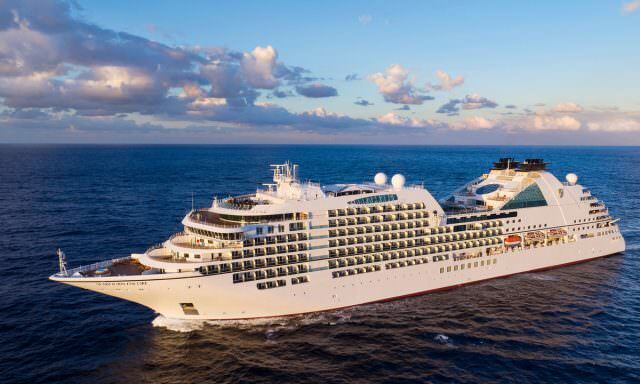 Seabourn will also offer “UNESCO Sydney, The Red Centre – Great Barrier Reef” Seabourn Journey, an 8-day pre-cruise or 7-day post-cruise land extension that embarks or disembarks at Sydney. The journey will start in Sydney; then venture to the Red Centre, home of the 500-million-year-old monoliths The Olgas and Uluru; and then explore Australia’s Tropical North, including UNESCO-cited Daintree Rainforest and the Great Barrier Reef. 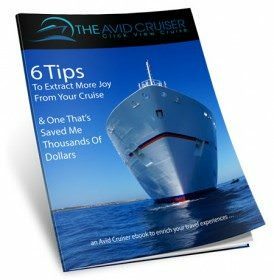 Departures for the Pre-Cruise journey are December 5 and December 15, 2018, and February 1, 2019; departures for the Post-Cruise Journey are December 11 and December 21, 2018, and February 7 and March 27, 2019. How can I help? 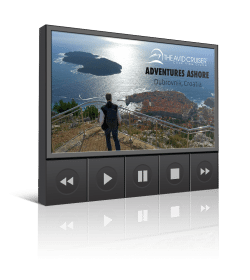 You want more info on Seabourn’s 2019-2020 cruises?